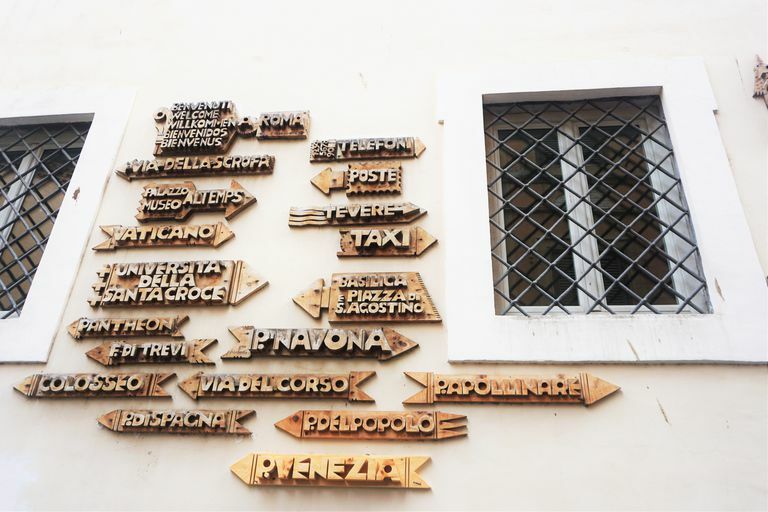 While there aren’t a ton of differences between Italian and English when it comes to areas like punctuation or writing style, there are a handful you should know about in the realm of capitalization. Many words that are capitalized in English are not capitalized in Italian, and while knowing this won’t increase your spoken conversational ability, it will make your written communication, like emails and text messages, feel more natural. Titles of books, movies, plays, etc. Personal titles such as Mr., Mrs., and Miss. Here are some examples with the days of the week. Arriva domenica. - He is arriving on Sunday. Ci vediamo lunedì! - We’ll see each other on Monday! / See you Monday! Sei libero giovedì? Ti va di prendere un aperitivo? - Are you free on Thursday? Do you want to get an aperitivo with me? Il mio compleanno è il diciotto aprile. - My birthday is April 18. Vado in Italia a gennaio. Sicuramente si gelerà! - I’m going to Italy in January. It’s going to be really cold! A marzo, ho appena finito un corso intensivo di italiano. - I just finished an intensive Italian course in March. TIP: Notice how the preposition “a” goes before the month. Proper adjectives are the descriptive form of the noun. For example, she’s from Canada (proper noun), which makes her Canadian (proper adjective). Lei è russa. - She’s Russian. Penso che siano canadesi. - I think they’re Canadian. Riesco a capire dal suo accento che lui è italiano. - I can tell from his accent that he’s Italian. If you’re writing about a recent book or movie that you just read, you won’t capitalize the beginning of each letter in the title (excluding articles and conjunctions). Abbiamo appena visto “La ragazza del fuoco” L’hai visto anche tu? - We just saw Catching Fire. Did you also see it? Hai letto “L’amica geniale” di Elena Ferrante? Ti è piaciuto? - You read My Brilliant Friend by Elena Ferrante? DId you like it? Il signor Neri è italiano. - Mr. Neri is Italian. Il mio nuovo capo si chiama signora Mazzocca. - My new boss’s name is Mrs. Mazzocca. TIP: You can use both forms with personal titles. In a formal context, like an email or a reference letter, you’ll want to capitalize all of the titles, like Prof. Arch. Dott. or Avv. What Is the Difference Between "Avere" and "Tenere" in Italian?